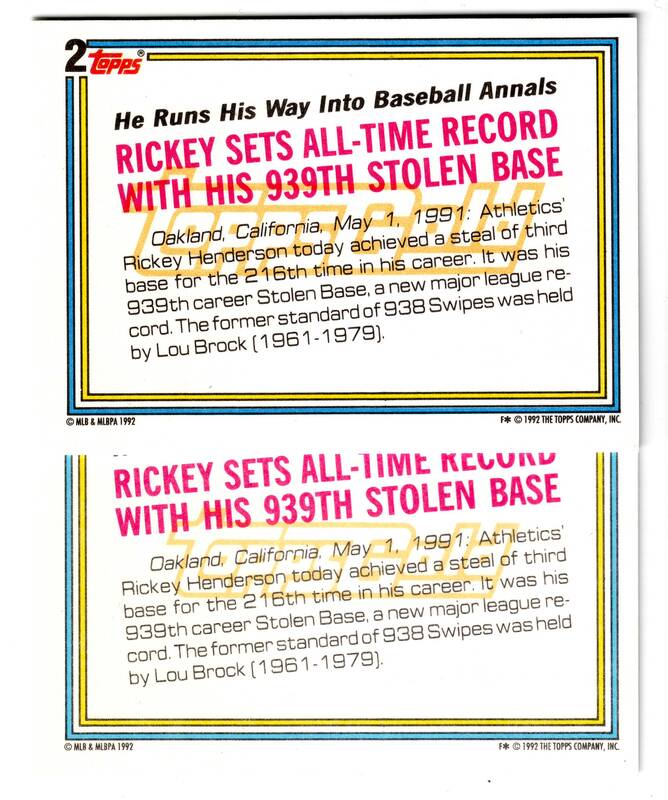 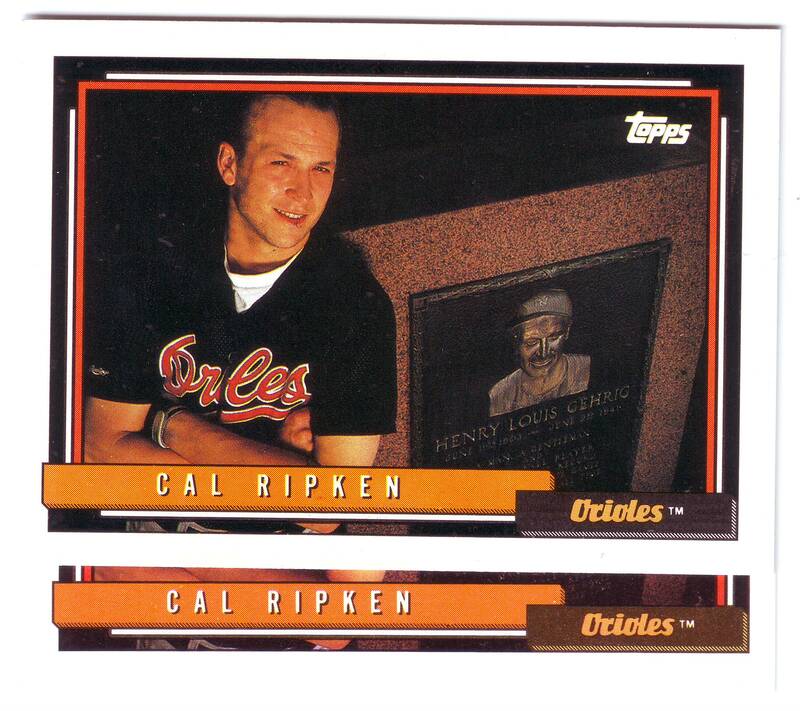 One of the lesser-known variations in 1992 Topps, a set that has had little investigation into it’s varieties, is the base card of Orioles legend, Cal Ripken Jr. #40. 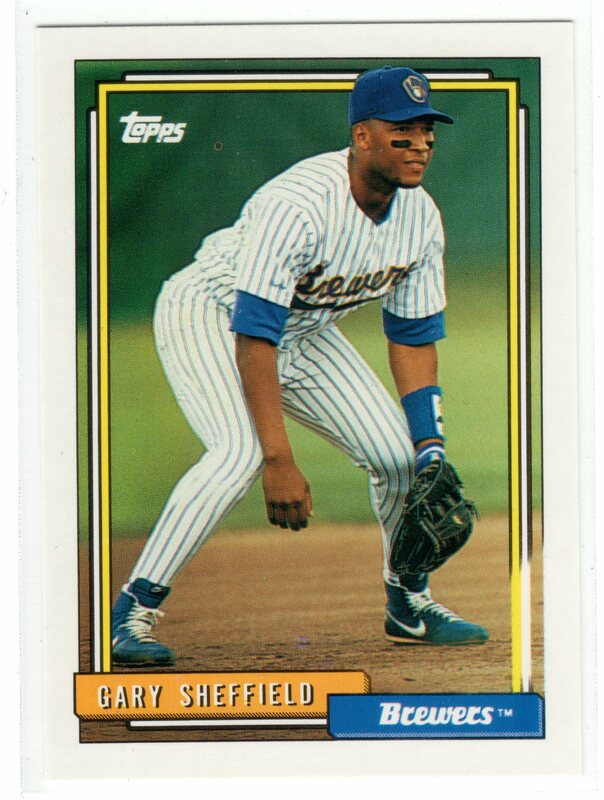 A card that’s already iconic, for it’s use of the famous photograph of Cal standing next to Gehrig’s Yankee Stadium plaque. 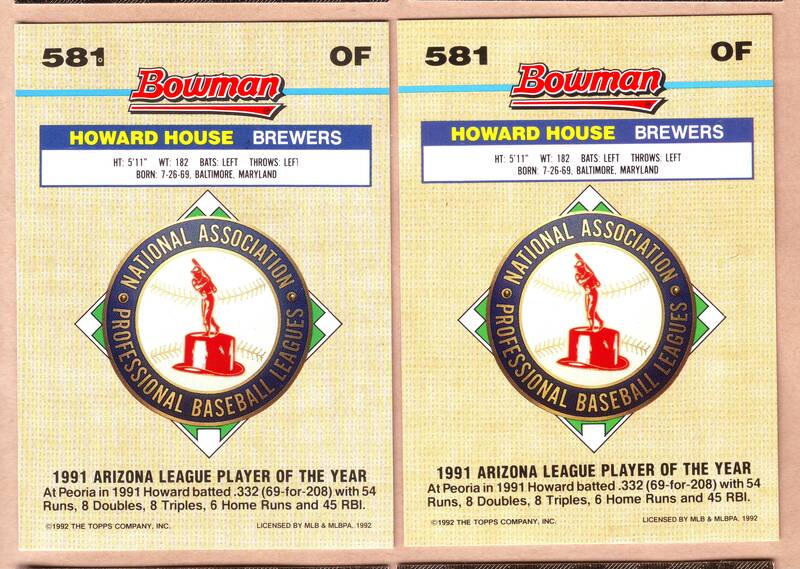 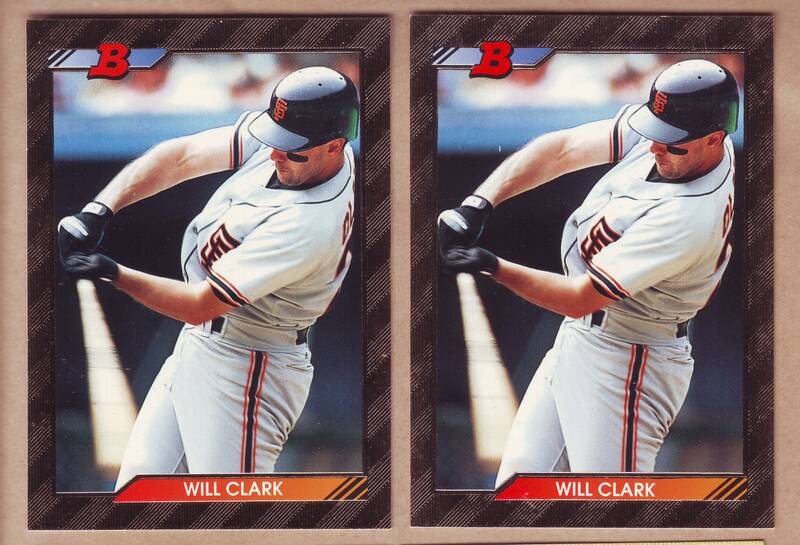 What many collectors do not know, however, is that it can be found in two varieties: The first version, which appears to be more common, has the “team bar” on front in a dark orange, almost brown, color. 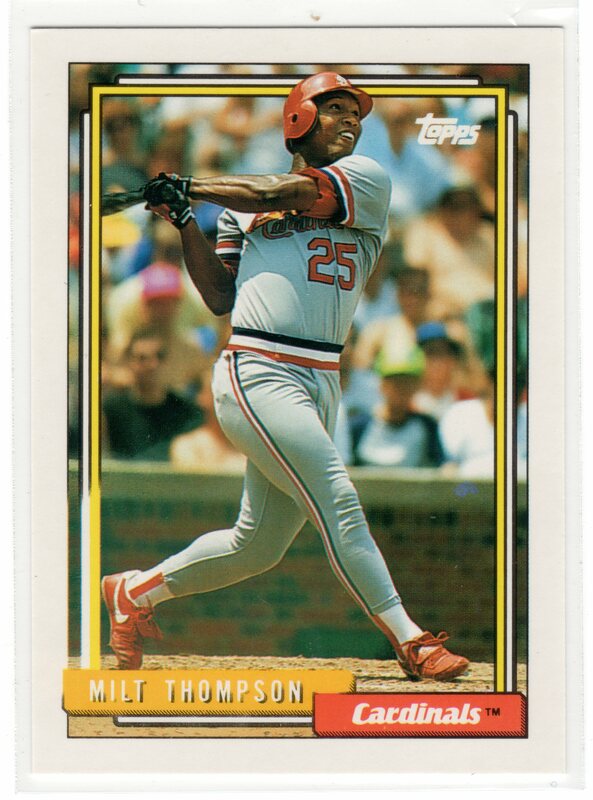 The second version, which seems slightly scarcer, has the “team bar” on front, correctly printed in black.